This page contains a full walkthrough of the Main Quest Amal Canyon in Dragon Quest Heroes 2, including enemies, objectives, and strategy. We will be updating this as we go along. 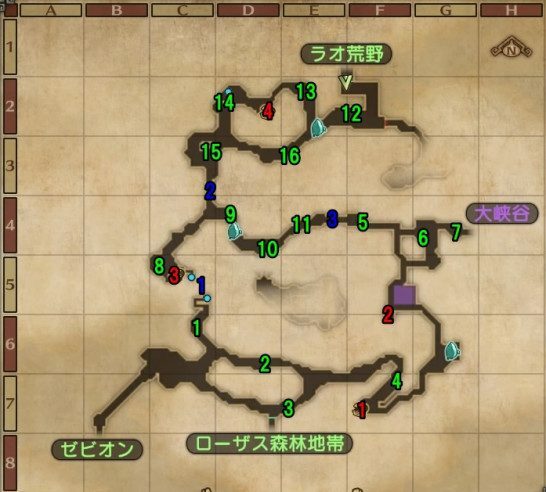 This page contains a walkthrough on the main quest “Amal Canyon” in Dragon Quest Heroes II. Most of the terms here are based on the Japanese version of the game, so some terms may not be translated clearly. We will be updating this when the English version of the game comes out in April 25, 2017. As you arrive, you will encounter a group of Orenka Soldiers. Challenge Grim Rider: once you beat it, it will flee. Over at the East section are Orenka Soldiers. Challenge Hell niño: Similar to Grim Rider, it will also escape once you defeat it. Proceed North to find more Orenka Soldiers. Challenge the Troll: Like the others, once you defeat it, it will run away. ※ 5th Blue is found by the Hot Springs. ※ 6th Blue rests at behind the Blockade. *Find Numbers 17-19 at the Spa Section. Start off with a Ranged Skill to take out nearby Skeleton Scrapper (のきし?). Grim Rider has a diverse attack pattern, with Rushing Attack, Crest Light Bullet, and Continuous Thrusting. The best approach is to memorize its pattern to emerge victorious. Hell Nino exerts some offensive pressure due to its powerful Attack, thus it’s best to use Hit and Run tactics. Once you defeat it, Hacksaurus will come out. Striking with some backstabs helps to take it out relatively safely. The third and final battle will pit you against the Troll along with Rockbombs. Focus on the Troll, and gradually the number of Rockbombs will become fewer. Once you have finished the battle, the Rockbombs will flee.